As Xi Jinping heads to Argentina for the G20 meeting, China is following through with promises to liberalise foreign investment in its insurance industry. This week China’s biggest foreign insurance joint venture, Axa Tianping, bought out its domestic partner and Allianz won initial approval to set up a wholly owned holding company. Both are significant moves and come after a series of statements this year from Xi and the central bank that have promised a more welcoming attitude to foreign capital, at the same time as US president Donald Trump has ratcheted up a trade war that has seen both countries slapping tariffs on each other’s goods. Axa is paying Rmb4.6 billion (US$670 million) to buy full control of its joint venture, with Rmb1.5 billion to be financed through a capital reduction. That is not much more than the US$633 million it paid in 2013 when it first bought the 50% stake from Tianping, one of the country’s first auto insurers. Since then, the Chinese non-life market has almost doubled, with total premiums growing to Rmb1.05 trillion last year from Rmb546 billion in 2012. However, the opportunity remains attractive with P&C insurance penetration still low at 1.3% and dominated by motor insurance, which represents 74% of the market. Axa Tianping has more or less maintained its market share for most of that period. It earned premiums of Rmb7.9 billion in 2017 on a 0.75% share of the market, which ranked it as the 15th biggest non-life insurer in the country and was up from Rmb4.6 billion in 2012, when its market share was 0.85%. However, it has lost some ground so far during 2018. 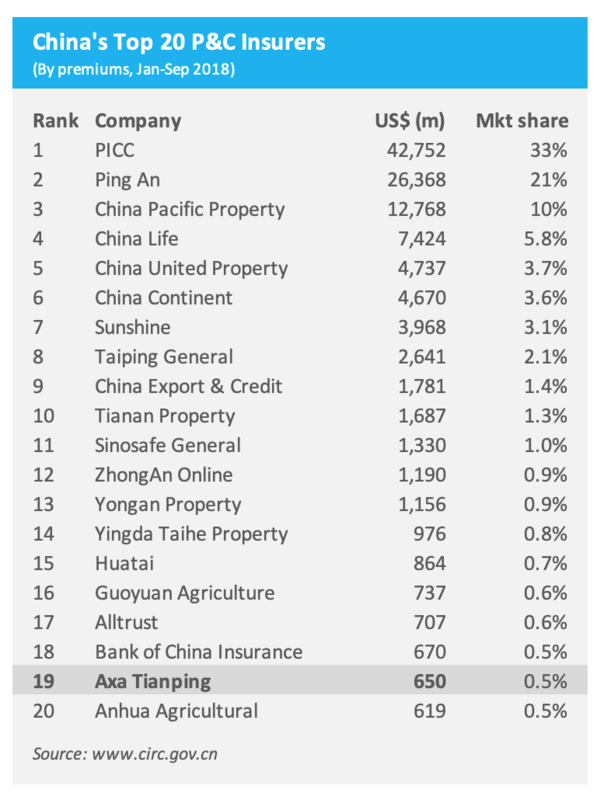 According to regulatory filings, Axa Tianping has slipped to 19th in the non-life rankings for the January-September period with a market share of 0.51% and premiums of Rmb4.5 billion. That is down on the same period last year, when it was ranked 14th with a market share of 0.76% and premiums of Rmb6 billion. 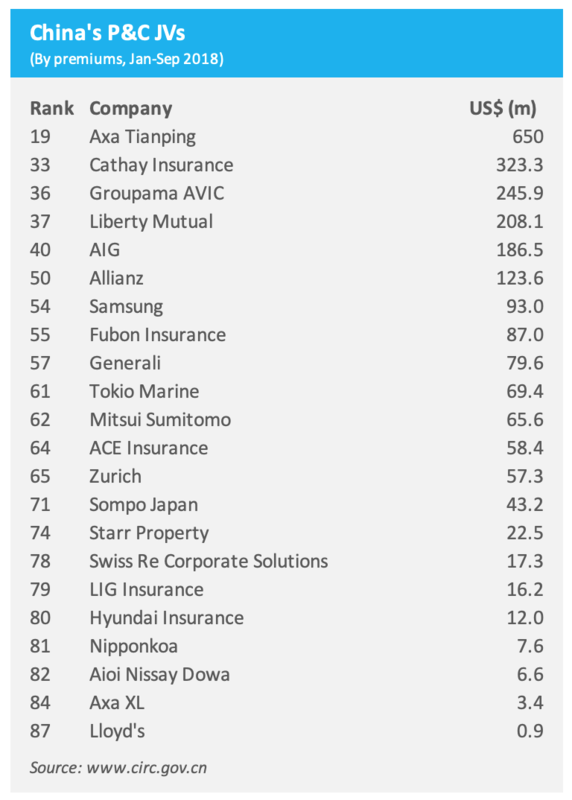 Even so, it is still by far the biggest foreign-invested property-casualty insurer in China with premiums so far this year that are double that of the nearest competitor, Taiwan’s Cathay Insurance. The French-headquartered business also has a separate presence in China through the legacy XL business, though this is a very small operation with just Rmb23 million in premiums this year. After the deal to buy out Tianping, Axa executives say the company is positioned for growth. “With full ownership and management control of Axa Tianping, we will further accelerate the deployment of our strategy to create a leading insurer that champions healthcare and mobility solutions,” said Gordon Watson, chief executive of AXA Asia. 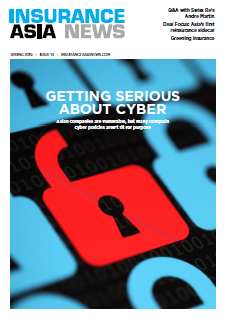 Axa also has a top 20 business on the life insurance side through its joint venture with ICBC. 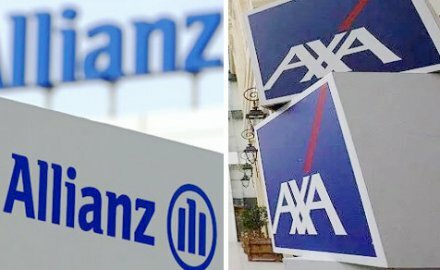 Meanwhile, Allianz will be hoping to compete with Axa for a bigger share of the market after becoming the first foreign insurer to win a licence for a 100%-owned holding company. At present, Allianz’s China entities are its interests in joint-ventures in the life and P&C markets. It is the 12th biggest foreign JV in the life sector, with Rmb3.7 billion in premiums this year to September, while its’ P&C JV is the 6th biggest with Rmb849 million in premiums. These steps are important indicators of China’s intent to liberalise and may help Xi to persuade fellow world leaders at the G20 that it is serious about making changes, though it remains to be seen how Trump and the US delegation will react to such efforts. With the exception of Liberty Mutual and AIG, all of the biggest foreign insurers in China are from outside of the US — mostly from Europe, Japan, Korea and Taiwan — but any opening of the country’s financial services sector should be a welcome step for US negotiators. For now, Trump’s Twitter feed continues to champion the “success” of his trade war. But perhaps he should take credit for prying open the Chinese insurance sector just a little further.